This item will be sent from the US warehouse. 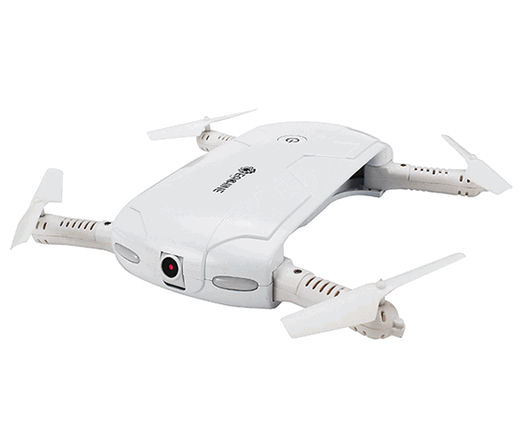 Eachine E50 WIFI FPV Pocket Drone is small and light, with the brand new technology of folding crankshaft, you can pack the drone easily and ply with it wherever you go. With a smart phone as a remote controller, you can enjoy FPV in a faster and easier way.Fort the phone controller, you just need to download the APP,and the APP supports 3 systems: Goggle play, 360 mobile assistant and iOS. Altough the drone is small in size, it has multiple functions:attitude hold, wifi fpv, video/selfie,3D flips and rolls headless mode and etc.